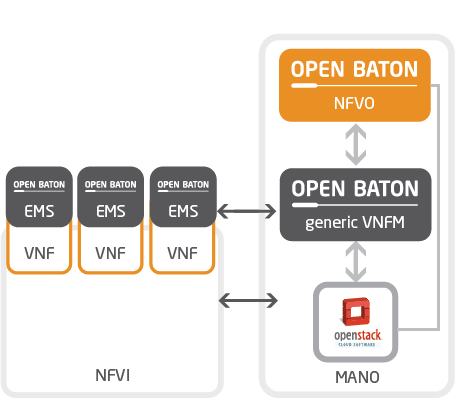 Open Baton includes a consistent set of features enabling the deployment of VNFs on top of NFV Infrastructures, following the ETSI MANO specification. 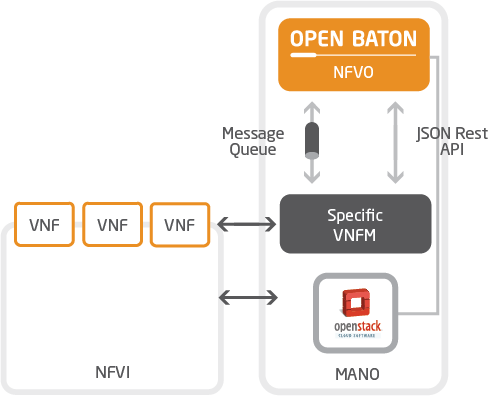 A Network Function Virtualisation Orchestrator (NFVO)completely designed and implemented following the ETSI MANO specification. A Generic Virtual Network Function Manager (VNFM) and Generic Element Management System (EMS) able to manage the lifecycle of VNFs based on their descriptors. A Juju VNFM Adapter in order to deploy Juju Charms or Open Baton VNF Packages using the Juju VNFM. A driver mechanism supporting different type of VIMs without having to re-write anything in the orchestration logic. A powerful event engine based on a pub/sub mechanism for the dispatching of the lifecycle events execution. 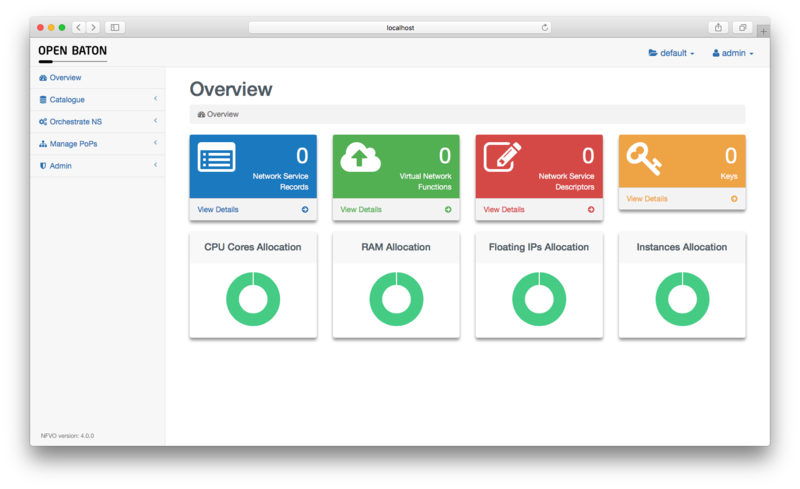 An Autoscaling Engine which can be used for automatic runtime management of the scaling operation operations of your VNFs. A Fault Management System which can be used for automatic runtime management of faults which may occur at any level. A network slicing engine which can be used to ensure a specific QoS for your NS. A monitoring plugin integrating Zabbix as monitoring system. 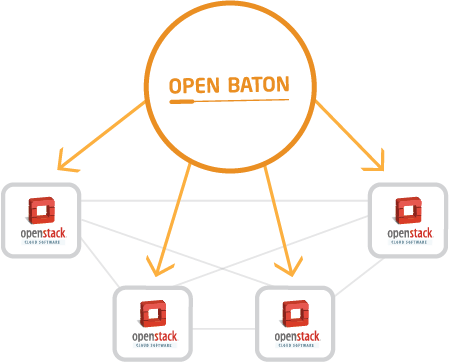 A Marketplace useful for downloading VNFs compatible with the Open Baton NFVO and VNFMs. A set of libraries (in Java, Go, and Python) which could be used for building your own VNFM adapter and VIM driver.